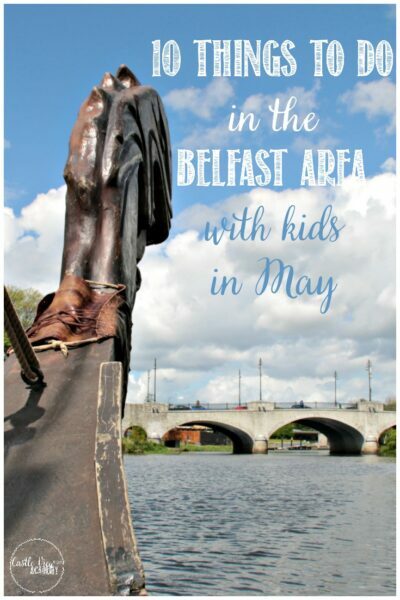 Did you enjoy any of the events that took place in Northern Ireland in April? 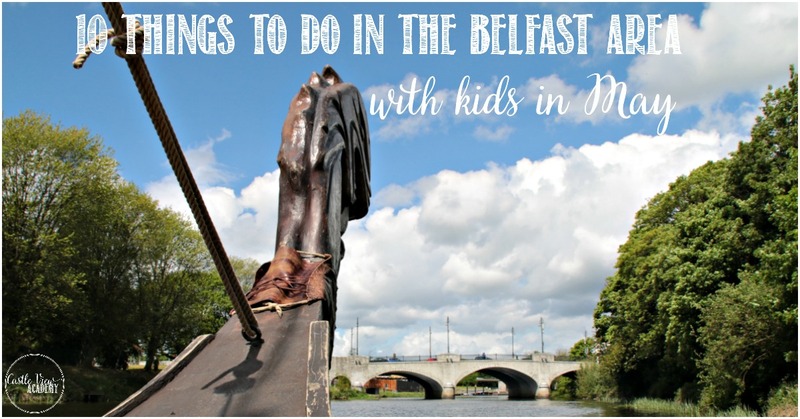 Today I’m back with a few things to do in Northern Ireland in May with kids. If you’ve tried any of them out, please do let me know in the comments below as we haven’t attended all of these events. 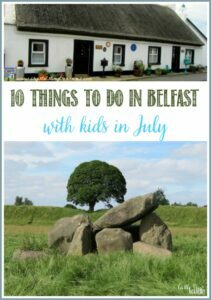 There’s still so much for us to see and do in Northern Ireland, that it’s always nice to leave something for another time to look forward to. May 4-7 will be The Festival of Fools and there will be more than 120 performers around the streets of central Belfast to make you smile. There are also back-up plans should it rain. My mom has been in town before during this event and makes a point of going down to see what’s shakin’. Visit the Galgorm Castle Fairy Trail; there are currently 2 trails available, with a third in the works. We have our tickets booked and will be visiting this month for Kallista’s birthday. May 12 – Mayor’s Carnival and Family Fun Day in Lisburn will be a bright and colourful start to summer, and there are also some cool (and free) classes available for the likes of stilt walking and more. 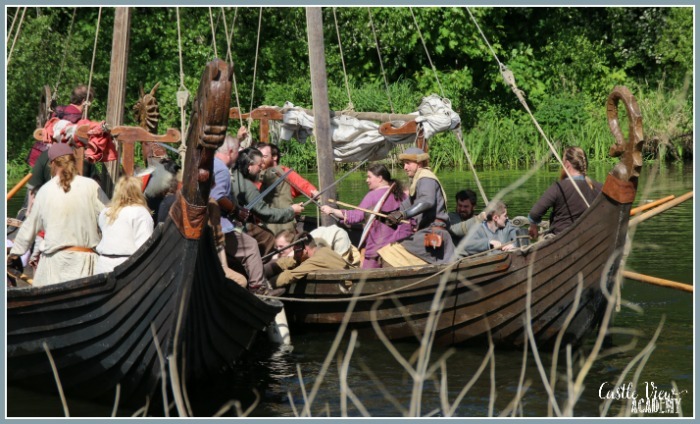 May 12 & 13 – The Portadown Viking Experience sound like it would be a terrific day out for the family, and perfect for home educators. You can read about our day there last year in this post. Gruffalo Trail in Colin Glen Forest Park looks like it would be loved by fans of the storybook. 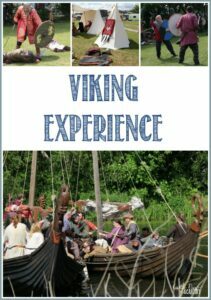 Guided and self-guided tours are available, and they can set up everything for you to host a birthday party there as well. Alice Clock at Fountain Square only takes a few minutes to see: go up the escalator and on the hour you can watch the bells chime between 9am and 6pm and see the characters from Alice In Wonderland make an appearance. May 24-28 – Belfast Spring Continental Market is a great spot to stop for lunch and a wander around. Enjoy the sights, sounds, and smells outside Belfast City Hall during this Bank Holiday weekend. Window On Wildlife (WOW) is a nature reserve on Belfast Lough run by the RSPB (Royal Society For the Protection of Birds). Telescopes and binoculars are provided; pull up a seat to the large windows and watch the wetland species. Volunteers are on hand to help you name what you’ve spotted. Most recently, there was a rare sighting of a pair of avocet (this is the bird in the RSPB logo). I visited a year ago and found it comfortable, clean, and friendly. I encourage you to check out what’s going on at a Northern Ireland library near you. 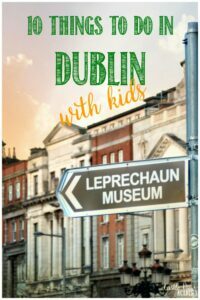 From Storybook and Crafts sessions, Knit and Natter, and newspaper mornings, there’s something FREE for all ages right from birth. Support the libraries; use them or lose them! 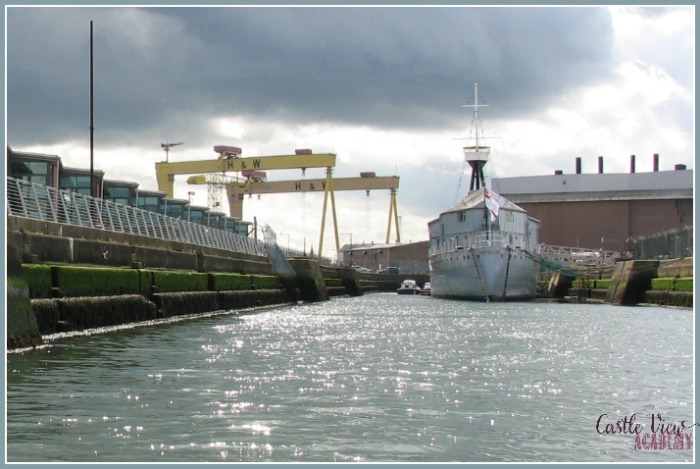 Lagan Boat Tours are a different way to learn about the history of Belfast and the Titanic. Go on a guided tour, or if you have a large group, book a private rental. I’ve been on both, and they’re lots of fun. I’m looking forward to our next trip into Belfast, when we’ll be checking out one or two of these things! Each time we visit we try to do something new; and most times it’s totally free; those are often the best. What adventures do you love in your area? Share them below in the comments and let’s all learn about great treasures. What are you planning this April? Will you be staying close to home, or going further afield? There’s always something to do nearby, wherever you are, so get out and about, and have an adventure! You must try out the Gruffalo Trail. It’s fab. We’ve been on the one at Delamere Forest. A great day out and such fun, especially as we are all Gruffalo fans!!! Excellent! It’s definitely on our summer bucket list!